Silpada 'Karma' Sterling Silver Ring, Size 8 | What Should I Say? 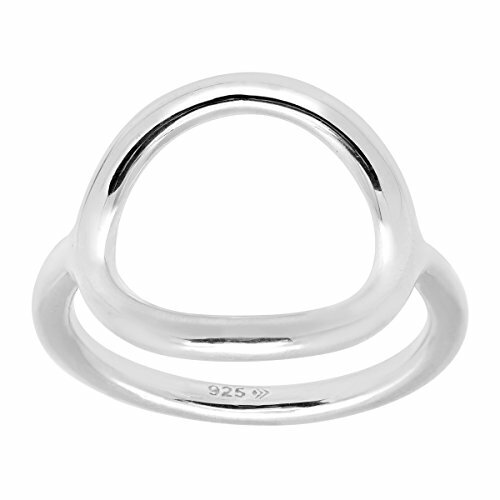 What goes around comes around in the Karma Ring, featuring a sterling silver band with a hollow, circular sterling silver section atop the band. Ring face measures 5/8 inches in width. MODERN GEO: Your high school geometry class couldn't have prepared you for the geo trend taking over the runways! These sterling silver styles are designed from shapes like triangles, crescents, circles and chevrons that take on a more organic, hand-crafted look with the help of brushed, textured or hammered detailing. These modern designs can be paired with your favorite geometric patterned top for a head-turning look or simply accessorize your go-to casual ensemble with a dash of mod glam.